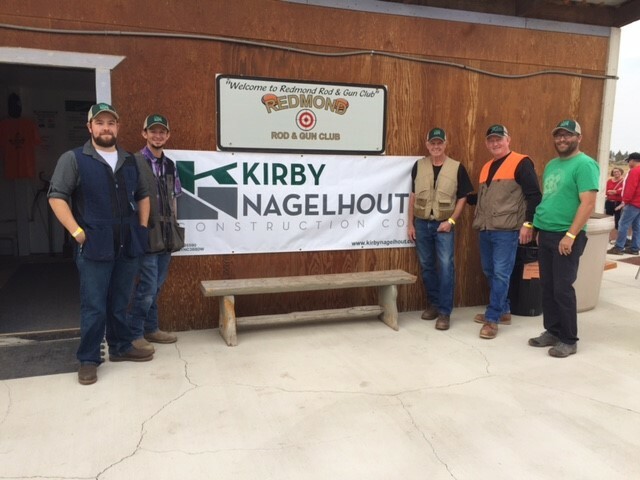 The Kirby Nagelhout Construction Company (KNCC) “Trap Team” members are pictured at the Redmond Rod and Gun Club at an event sponsored by the Central Oregon Builders Association (COBA). Pictured with the trophy From Left to right is Will Rusk, EJ Parker, Larry Blanton, Larry Wonser and Travis Hansen. The fund-raising event was to benefit affordable housing in Central Oregon. KNCC was the title sponsor for the event that hosted several local businesses and supporters of affordable housing. 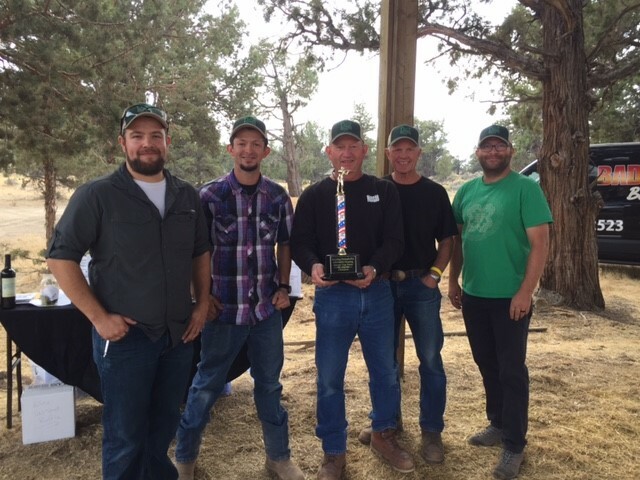 The Nagelhout team also took first place in the first annual trap shoot hosted by COBA. According to Tim Knopp, who is the COBA Executive Director, the event will take place on an annual basis and the trophy will travel each year with the winning team and sponsoring business.